Dillon’s presents Bruce Springsteen and the E Street Band Ticket Giveaway! Get your jean jackets and bandanas on, “The Boss” is in town! 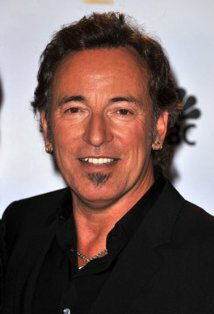 WHAT: Join Red Stag Honey Tea at Dillon’s on August 14 from 6-8PM for a chance to win two tickets to Bruce Springsteen and the E Street Band at Fenway Park on August 15, 2012. Guests will have the opportunity to sample Red Stag Honey Tea cocktails while they enter to win fantastic tickets in section Field B3 row 2! WHY: Because he’s The Boss – that’s why! 0 Response to "Contest: Win Springsteen Tix @ Dillon's - 8/14"